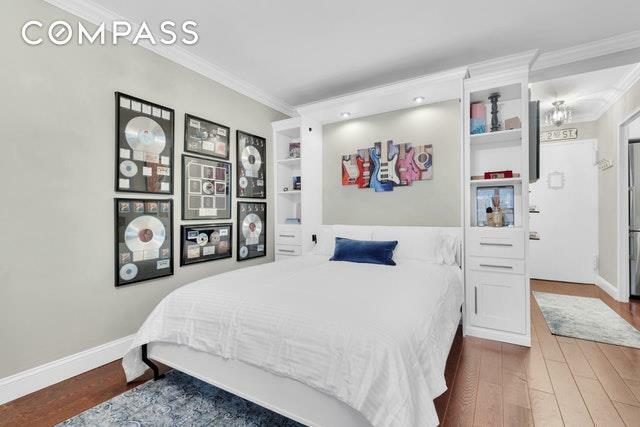 Welcome home to this beautifully gut renovated studio in the heart of the Upper East Side! 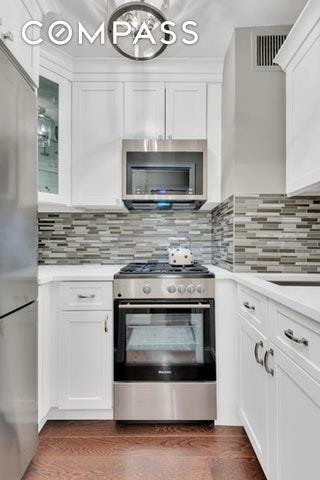 No detail was spared, making this a perfect move-in ready first home or pied-a-terre. 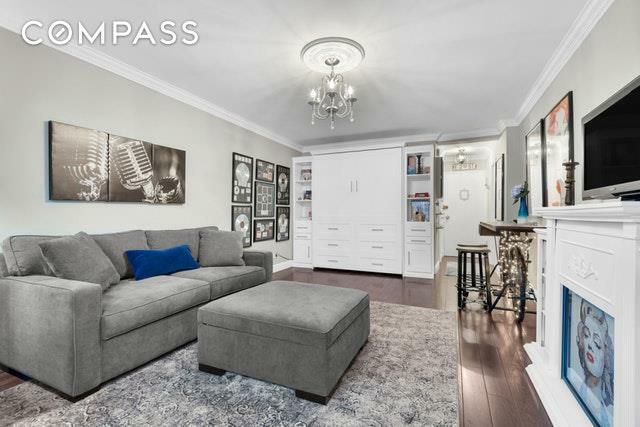 This bright and quiet, north-facing apartment boasts new oak 5 plank hardwood floors, new crown and base moldings throughout, a brand new through-wall AC with custom cover, new blinds, curtains, and light fixtures. All electrical has been upgraded including wiring, outlets, and switches. The apartment has an sleek built-in Murphy bed with additional night stands, shelving, and armoire, as well as a beautiful decorative fireplace. The kitchen features brand new finishes including a quartz countertop, new stainless steel appliances, soft-close custom cabinets, new plumbing and under counter lighting. 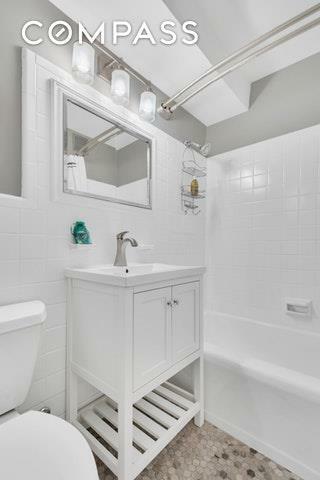 The bathroom has been renovated as well featuring marble floors, new plumbing, sink, tiles and cabinets. 233 East 69th street is a 24-hour doorman building right across the street from the new second avenue subway station. They allow co-purchasing, pied a terres, gifting and is a pet friendly building. Listing courtesy of Michael Biryla of Compass.